The Office of the Bursar also processes refunds and overpayments on student accounts. In addition to cashiering functions for the University, the office is responsible for University receivables, delinquent student accounts and third-party billing. Paper statements will no longer be mailed after April 20, 2012, but are available through MYHSSU. Students at HSSU will incur certain financial obligations. Although they may be eligible for various forms of financial aid, the final responsibility for those obligations will be the student. The University has developed an Installment Payment Plan designed to make as convenient as possible the payment of tuition, fees and other charges. Failure to comply with the installment agreement will prevent access to transcripts and diplomas. Continued failure to pay a past-due debt may result in the debt being referred to a collection agency. In that event, collection costs will be added to the student’s account. All fees are due and payable to the University at the time of registration. Financial clearance must be completed before courses begin. A monthly payment plan option is available for students unable to pay in full at the time of registration. Students with delinquent accounts will not be allowed to register in subsequent semesters. Students securing financial clearance utilizing the University’s payment plan must comply with the payment deadlines as established in the University’s installment agreement. The University reserves the right to cancel the registration and administratively withdraw any student that fails to secure financial clearance by the noted deadline. *Failure to obtain financial clearance will result in a cancellation of the courses selected. The University will nullify related tuition and fees, excluding the admissions fee, for cancelled registrations. The University reserves the right to assess charges and fees for any courses attended. Awarded financial aid is used to reduce the outstanding balance on a student’s account. On MYHSSU, the financial Aid Award section includes aid for all semesters for the financial aid award year. If you only receive a partial award, then you must pay the remainder of your student fees and enroll in an Installment Plan. See Monthly Payment Plan for more information. Anticipated/Awarded Aid is financial aid that has not been posted to your account. Student refunds are processed only on posted funds that exceed the charges. Harris-Stowe State University will accept a payment via mail, in person, and online. Harris-Stowe accepts cash (in person only), money order, check, credit cards (Mastercard, Visa, American Express, Discover) and debit cards. In Person – Payments will be accepted at the Office of the Bursar, Room 018, Dr. Henry Givens, Jr. Administration Building. Please see office hours below. Online – Payments may be made online by accessing CASHNet through MYHSSU. Log in to MYHSSU, click "My Academic Profile", then select "Financial Information", and click the "Go to CASHnet" link. Online payments may be made via credit card/debit card, checking and savings accounts. A confirmation of payment will be emailed to confirm a successful payment. Personal checks are electronically processed at time of payment. Any check payable to Harris-Stowe State University that is returned unpaid will be assessed a $25 return check fee. Students who do not wish to pay their charges in full, do not have financial aid covering 100 percent of their charges, or are not confirmed third-party recipients at the time of registration, must execute a Harris-Stowe State University Payment Plan. Students will enroll in an Installment Payment Plan online by accessing CASHNet through MYHSSU. Students with an unpaid balance will not be financially cleared for enrollment until this has been completed. All students on the installment plan will be assessed a $35 non-refundable fee. The first installment payment will be 25 percent of your total balance due (i.e. fees, credit hour load charges, housing). The remaining balance will be paid in monthly installments. Students who enroll in a payment plan early may have an extended payment plan. The closing date for billing is the 20th of the month. WE DO NOT MAIL BILLING STATEMENTS. Email notifications are be sent to your hornets.hssu.edu account when charges update monthly. Payments are due the 5th of the following month. Third-party billing is a payment agreement among the student, college and a student sponsor. The sponsor is an outside source that takes responsibility for all or partial payment of tuition, fees, books, etc. A third-party sponsor is not an individual, i.e. parent, grandparent, etc., but a company or agency such as military, vocational rehabilitation, Training Rehabilitation Act (TRA), Workforce Investment Act (WIA), or other state agencies. The college will not bill third-party agencies for class re-takes unless the student contacts the agency for payment approval. 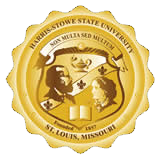 The Office of the Bursar must receive written approval from the sponsor for each semester the student attends Harris-Stowe State University. An invoice will be sent to the sponsor after the add/drop period is over. If the sponsor fails to respond to the bill by the given due date, the student will be responsible for the charges. The sponsor will receive the refund or credit for any reduction of fees that were originally billed. Holds placed on all student accounts with a balance due. Students with an unpaid balance will not be permitted to register for future terms, view/receive their transcripts and/or diplomas. Holds are removed when your student account balance equals zero. Every month, an email is sent to the (hornets.hssu.edu) email address notifying students that a bill has been generated and is ready for viewing. Students can access their account statement through the MyHSSU student system using your student ID and password. Non-authorized (guest) payers can pay by debit/credit card, checking/savings accounts. There is no service charge to pay online. Guest payers do not have access to view online bills. The online payment system is secure. It will allow payment to be made from a checking or savings account or by Visa, MasterCard, Discover or American Express. Please allow 24 hour for debit/credit card payments and 48 hours for checking or savings accounts payments. This means that your payment will post immediately to the student account. This means you will see your payment posted on your student account 24-48 hours from the online payment confirmation. Fees may be paid online 24 hours a day, 7 days a week. Payments submitted on Saturday or holiday will be posted to the student account with an effective date of the next business day. It is the student’s responsibility to formally notify the Registrar’s Office and to follow proper procedures when withdrawing from the University. Failure to pay fees, failure to receive financial aid, failure to attend class or refusing financial aid does NOT constitute an official withdrawal from Harris-Stowe State University. Monday thru Friday 8:30 a.m. – 4:30 p.m.